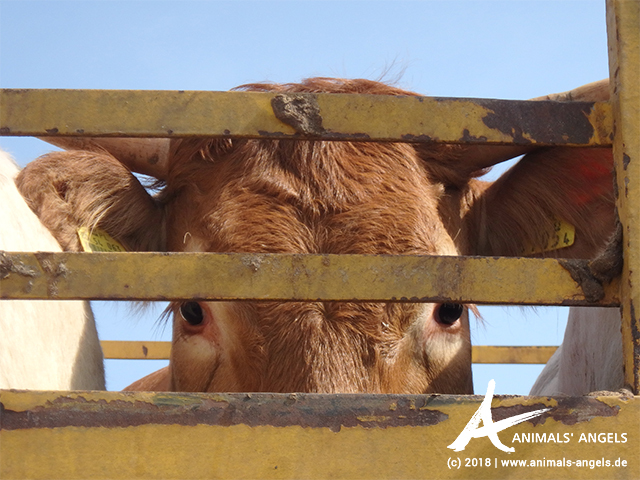 03-10-2018 Animal Transports EU Live Exports Created by Animals' Angels e. V.
Animals' Angels is waiting at the port of Beirut for European cattle to arrive with an animal transport ship from Croatia. 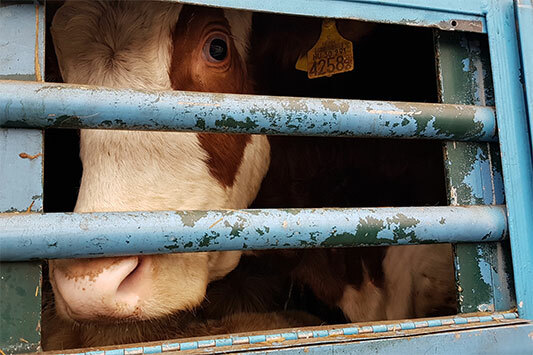 Countless trucks are waiting with us – all absolutely unsuitable for the transport of animals. Unfortunately, our observations show that nothing has changed at all since our last investigation here five years ago: Some animal transports are clearly overloaded and many animals suffer from diarrhoea and the strains of the long journey – after all, they have been non-stop on the ship for over a week and a half. Today, we are following a total of five trucks, one of them directly to a slaughterhouse south of Saida. 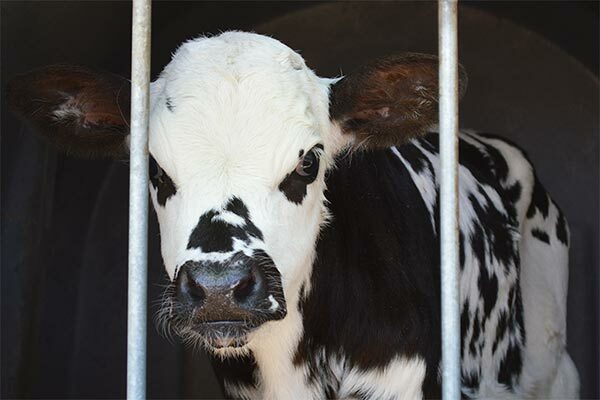 Still others go to huge stables where the animals are fattened for several months before being slaughtered. The animals we are accompanying today come mainly from Romania and the Czech Republic. 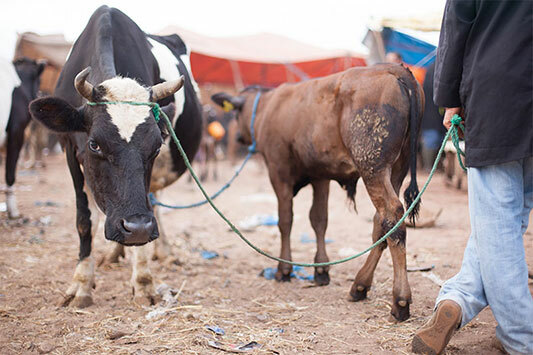 We will inform the competent authorities in the EU and, within the framework of the EU Animal Welfare Platform, we will continue to campaign for a ban on these tormenting exports.